Last week I had the privilege of journeying deep into the heart of Bhutan. I travelled with my colleagues from the Ministry of Works and Human Settlements to a couple of remote villages to undertake site assessments and discuss planning for future development. There were 4 of us on this expedition: a senior planner, a graduate architect, our expert office driver and myself. The journey was incredible. We drove at no more than 50km/hr along single lane roads that zig-zag up and down mountains. These roads hug the hillsides with steep rocky cliffs towering above on one side, and sheer drops to the valley floor on the other. Yet another breathtaking view is revealed at every turn. Forested mountains stretch for as far as the eye can see, their conical peaks piercing the fluffy white clouds in the bright blue sky. Every now and then small settlements dot the hillsides: a clearing in the forest where the slope is cultivated into terraces for agriculture with a cluster of stone and wood houses. 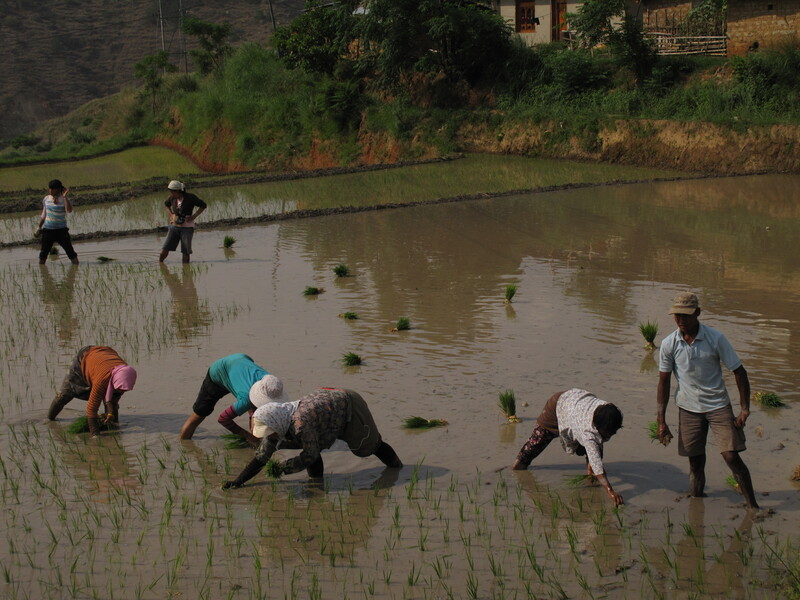 Villagers are all hard at work as rice planting is currently in full swing. With the window down in the back seat of the well-travelled Hilux, feeling the wind in my face, it got noticeably cooler as we climbed and hotter each time we descended. We crossed several valleys and mountain ranges. The only sounds were the birds singing in the trees, the odd tinkle of cow bells from cattle grazing by the roadside and perhaps the faint roar of rushing water in the river far below. As we passed through rainforest we saw several golden langurs, monkeys and numerous species of butterflies. A damp earthy smell filled the nostrils. Occasionally we would meet a truck coming the other way (probably enroute to one of the hydropower projects currently under construction) and somehow manage to pass with only millimetres to spare! We travelled like this for 5 days, never quite knowing where our next meal would be coming from or where we’d sleep the night, but somehow it always worked out – we never went hungry and we had a bed every night. As per protocol, before proceeding to each of these villages we first went to the Dzong of that district, to meet the District Govenor (Dzongdag). Here I was, a foreigner, dressed in Bhutanese national dress (trying to keep my rachu from falling off my shoulder! ), entering this centuries old building, being introduced to the Dzongdag and invited to have tea and biscuits (I had to pinch myself!). With the blessing of the Dzongdags, we proceeded to the villages. 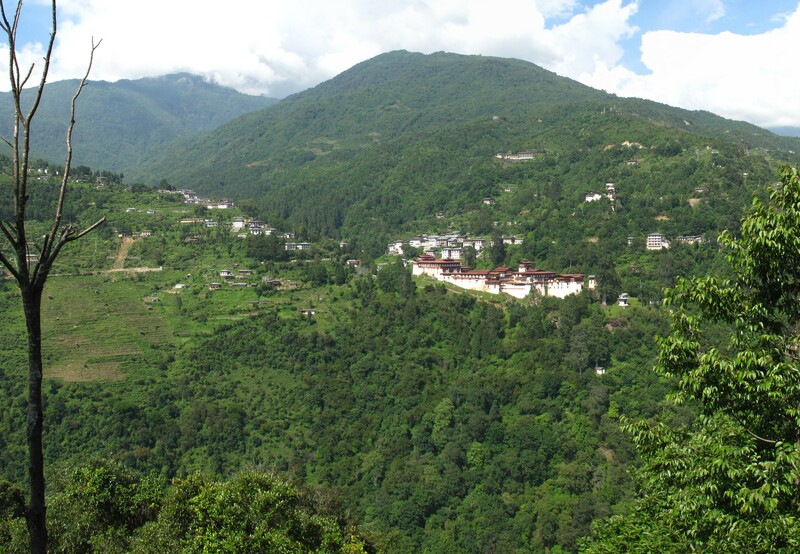 The first village, Taktse in Trongsa district, is seeking planning assistance because a new campus of the Royal University of Bhutan (Institute of Language and Cultural Studies) has been built adjacent to the village. Villagers are keen to capitalise on this new market by building accommodation and shops to cater to students and staff. The Dzongdag wants to make sure this happens in a controlled and planned way. 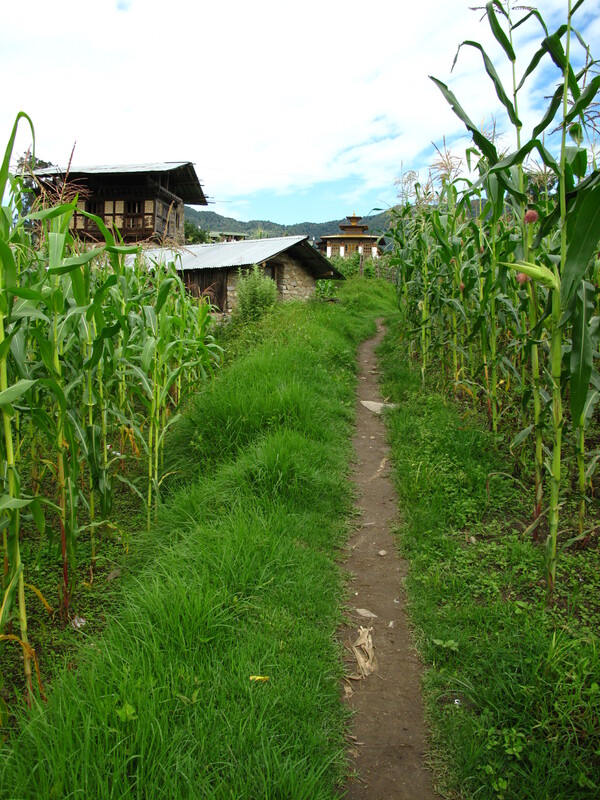 The second village, Buli in Zhemgang district has a different reason for requesting planning assistance. It is the most idyllic village I think I have ever seen. It’s vision, as stated on the sign at the entrance to the village is “An exemplary in sustainable socioeconomic development, preservation and promotion of culture, biodiversity pursuit of a [sic] happiness”. Traditional houses surround the community temple which is the focus of the village. Inside it houses’ brilliantly coloured frescoes depicting the many myths and legends of this place intertwined with the Buddhist teachings. Each household grows more than enough to feed themselves in the rich fertile soil. It has a health clinic, a helipad and a school. School students bowed and greeted us “good morning” as we walked through the village with one of the elders. But, it is also one of the most remote villages in this district (a 3hr drive on a bumpy dirt road from the nearest town). Despite its seemingly idyllic situation, there is a net migration out of the area to the towns and cities. Villagers want the infrastructure and the permission to be able to develop commercial enterprises that might encourage and attract people to stay. I felt incredibly humbled when the village elder invited us in to his house to show us his most prized possession. Well, not really a possession but a registered historical relic for which he is the custodian. He showed us into the altar room, and from a box in the centre, covered with a scarf he took out a heavy iron pan. It is said that this is one of the treasures revealed by Dorje Lingpa, a revered 14th Century Buddhist ‘saint’ of sorts, who travelled from Tibet to Bhutan. His fingerprint can still be seen in the base. Our host then invited us to have buckwheat pancakes that his wife had cooked in the ancient iron pan, smeared with golden butter churned from the milk of his own cow. If there was a definitive moment that Bhutan captured my heart, this was it! This Post was tagged Bhutan, Buli, Dorje Lingpa, Dzong, Himalayan, mountains, Taktse, travel, Trongsa, urban planning, working in Bhutan, Zhemgang. Bookmark the permalink. Great post Jen. 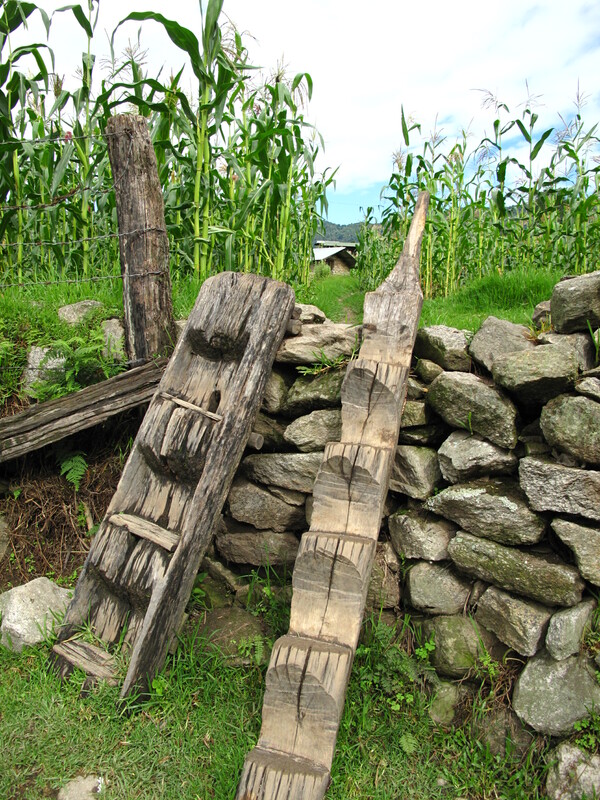 Photos look like an unspoiled Nepal. You can see why the Bhutanese are trying so hard to avoid the mistakes of the countries around them. I hope they succeed. What a wonderful experience Jen. I hope you will be able to help them to achieve their sustainable planning goals. The country looks so unspoiled and beautiful. Glad you are finding it so rewarding. Thanks Jen, I love reading your posts, sounds just wonderful. Wow Jen. What an extraordinary country and what an extraordinary adventure you guys have found for yourselves. Glad we are getting to experience just a little of it with you via your posts….. and the photos are fantastic. Your words paint such an amazing picture of your experiences and emotional/spiritual journey. It must be incredible to experience such warmth and simplicity – beauty in its rawest form.